I have written articles in the past on this website and the Jacksonville attorneys website about the arrests that occur during the Florida Georgia game. We all remember what it was like to be a college student. Tailgating is a normal event for college football games. 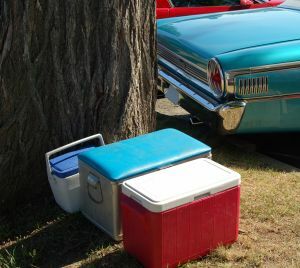 Beer and alcoholic beverages go hand-in-hand with tailgating. When it comes to massive tailgates, such as the Florida Georgia football game, there are a lot of people. There is a lot of alcohol. That also means that there are a lot of police officers which in turn leads to a lot of arrests and notice to appear citations. Notice to appear citations resemble a Jacksonville traffic ticket. There is a difference. With a criminal notice to appear, you must set a court date within 10 days of receiving the ticket. You must do this with the Duval County Clerk of Court. You are required to set a court date, because this is a criminal ticket. Technically, you could have been arrested. However, due to the circumstances, the police officer issued a Jacksonville ticket for the crime instead. I have met with young adults that do not understand that they are facing criminal charges because they “just got a ticket.” They later call me and ask for me to expunge their Florida record, but I cannot because the charges were not dropped or dismissed. They sometimes ask me to seal the criminal record, but I cannot because they were convicted of a misdemeanor crime. If you or your son or daughter is arrested or issued a notice to appear, you should consider speaking with a Jacksonville criminal attorney about the case. While we may make bad decisions in our youth, it does not mean that we should have a permanent criminal background in Florida to remind us of it. To talk to a Jacksonville criminal lawyer, call (904) 564-2525.